Xenoblade Chronicles 2 lands tomorrow alongside a day-one update. Patch 1.1.0 will be released tomorrow when Xenoblade Chronicles 2 lands on Nintendo Switch. Along with a few gameplay improvements, it will also include support items from the first DLC drop which is part of the Expansion Pass. These items are: 50,000G, three cream orange paratas, 10 silver cylinders, and five common core crystals. The rest of the first DLC drop will contain quests and eventually a challenge Battle Mode where players will face powerful enemies. Content also includes an additional adventure with a new side story. A date for the remainder of the first drop isn’t known as of press time, but the official site notes that starting in January, a series of additional quests for the main game will be released. As far as the patch is concerned, 1.1.0 will add the Event Theater function to cutscenes, adjustments to game balance, a tab for Expansion Pass to the main menu, and various gameplay improvements (thanks, Nintendo Everything). A free Japanese-voice pack will also be available day-one for all players. The Xenoblade Chronicles 2 Expansion Pass is now available and will run you $29.99. 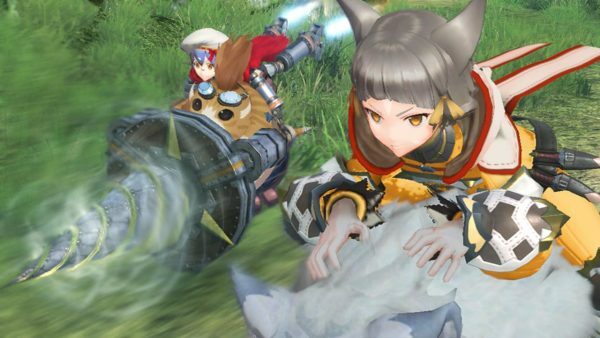 Content releases for Xenoblade Chronicles 2 will continue into fall 2018, and the Expansion Pass will take up around 600MB of space as it currently stands. If you’re considering picking it up when it arrives tomorrow, December 1, give our Xenoblade Chronicles 2 reviews round-up a look to see how it’s scoring.